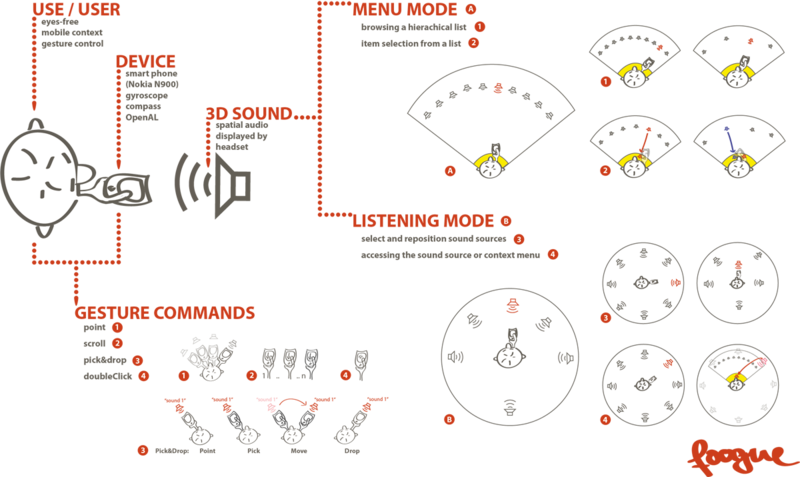 an eyes-free interface that utilizes spatial audio and gesture input. Foogue does not require visual attention and hence does not divert visual attention from the task at hand. Foogue has two modes, which are designed to fit the usage patterns of mobile users. For user input we designed a gesture language build of a limited number of simple but also easy to differentiate gesture elements. This project was a collaboration with Christina Dicke and Yaroslav Tal.